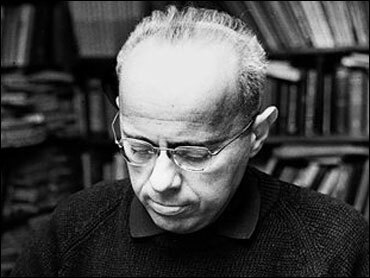 Stanislaw Lem, a popular science fiction writer whose novel "Solaris" was filmed twice, died Monday in his native Poland, his secretary said. He was 84. Lem died in Krakow, Wojciech Zemek told The Associated Press. Zemek did not give other details or the cause of death, citing only Lem's advanced age. Lem was one of the most popular science fiction authors of recent decades to write in a language other than English, and his works were translated from Polish into more than 40 other languages. His books have sold 27 million copies. His best-known work, "Solaris," was adapted into films by Andrei Tarkovsky in 1972 and by Steven Soderbergh in 2002. The latter starred George Clooney and Natascha McElhone. His first important novel, "Hospital of the Transfiguration," was censored by communist authorities for eight years before its release in 1956 amid a thaw following the death of Josef Stalin. Lem's other works include "The Invincible," "The Cyberiad," "His Master's Voice," "The Star Diaries," "The Futurological Congress" and "Tales of Prix the Pilot."